A straight ADZe is used for rough dimensioning timbers, scaling bark from logs and jobs that require fast, powerful removal of lots of wood. Adzes head is made of one piece intact drop-forged carbon steel. The approximate weight of the head is 21oz or 600g. Heat treated and tempered providing high strength and durability. 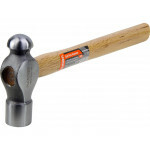 Wooden handle provides secure grip and makes it easy to handle when working in hand. The handle is removable because of the easy sharpening of the adze blade as it should be. You will receive the adze removed out of the handle and you should mount it tight. It is a "slip fit" type of handle. The unnecessary part of the handle should be cut-away, approximately a half inch from the edge of an adze. 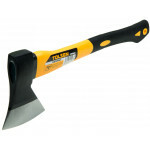 This Tolsen hatchet is made from very strong and reliable fiberglass material and has a rubberized s.. 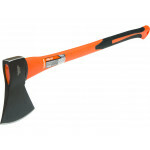 This Harden hatchet is made from very strong and reliable fiberglass material and has a rubberized s.. 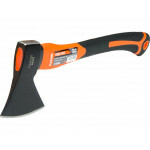 This Harden axe is made from very strong and reliable fiberglass material and has a rubberized secti..